Exerbotics is designed to scientifically deliver the most time efficient workout in a safe environment. These two characteristics are not often found in the same training protocols. 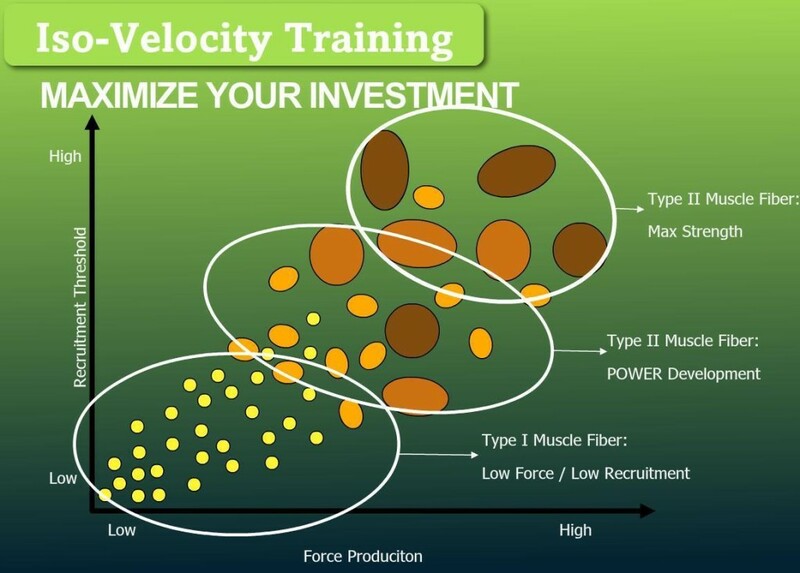 The Exerbotics Iso-Velocity Technology is multi-joint overloading emphasizing speed control and force capability in concentric and eccentric movements. The objective is to recruit the most possible motor units in the least amount of time. Motor units control muscle tension and therefore need maximum stimulation to efficiently train the muscle. Figure 1 illustrates the training zones for Type I and Type II muscle fibers. Type I muscle fibers require low force and low recruitment. This can be walking, jogging or strength training with resistance below the required user threshold. These are low intensity activities that do not properly aid in strengthening the body. Training Type II muscle fibers requires much higher force production to stimulate more muscle recruitment as illustrated by the top two circles. Type II muscle fibers are the most critical for everyday life and athletics. In everyday life however, they are the most neglected and first to deteriorate as we age. Starting in our 20’s, we lose up to 1/2 lb. of muscle every year, most notably from our Type II muscle stores. 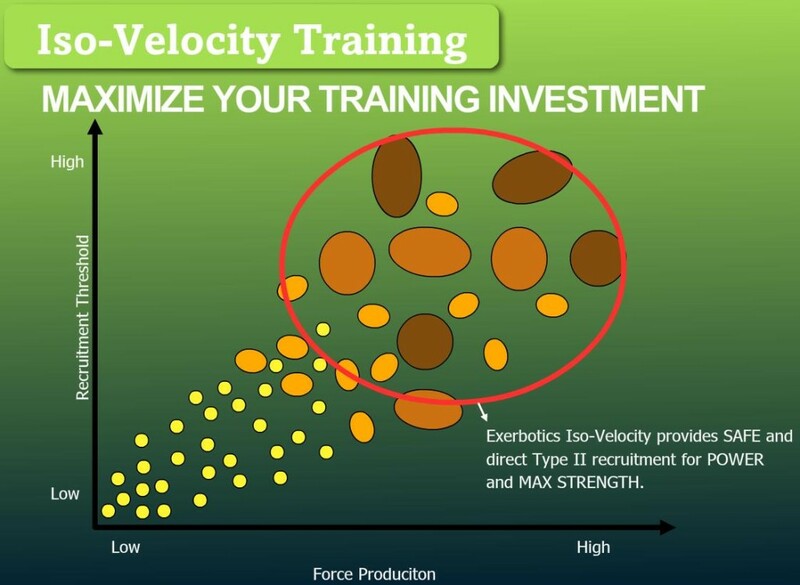 Figure 2 shows the training zones achieved using theFigure 2 Exerbotics Iso-Velocity Technology. This training zone is more readily achieved with our technology because an accurate strength assessment has been recorded. The individual now has a visual target to reach the required effort levels to safely and efficiently recruit these muscle fibers. The computer controls the range of motion and speed to keep the user in the optimal training environment and protecting them from incident. Traditional resistance training devices often require the user to lift a load they are not comfortable lifting through potentially dangerous fatigue.